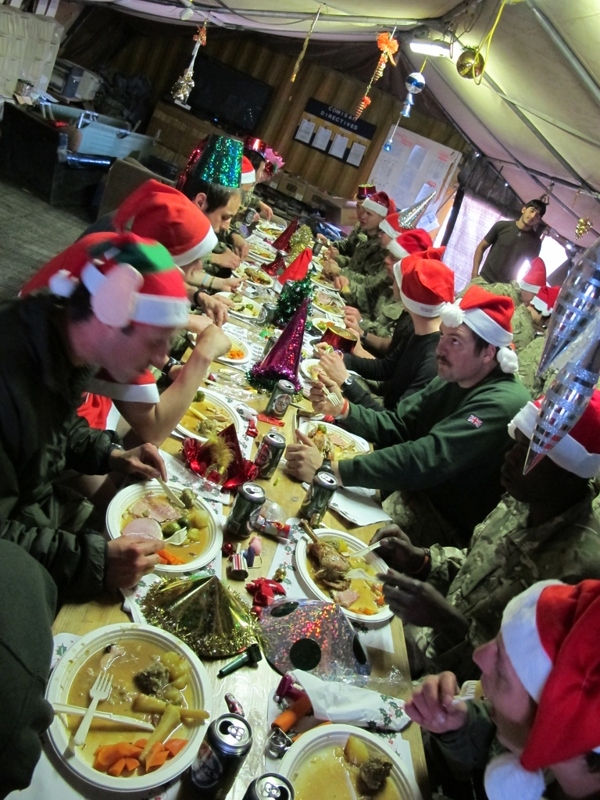 Since the company celebrated Christmas in the relatively luxurious surroundings of Main Operating Base (MOB) PRICE we have covered a lot of ground leading up to taking over responsibility for a line of patrol bases east of Gereshk following a hand over with a Danish Armoured Infantry Company. 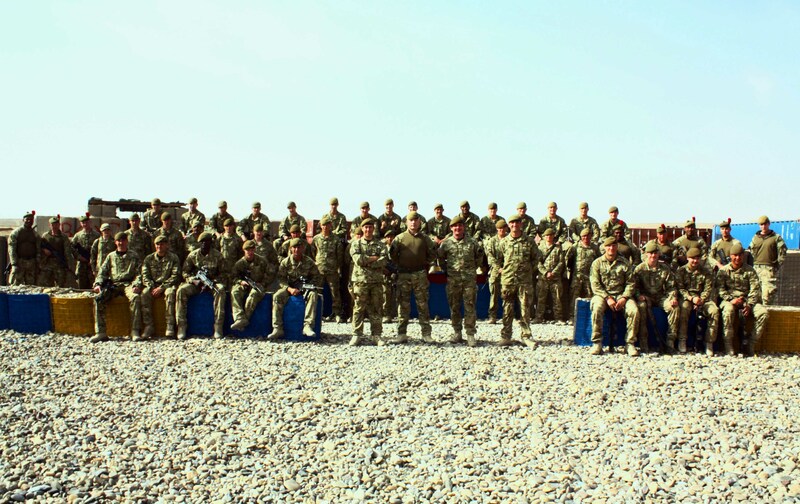 As the Christmas carols were dying in the air 2Lt Ian Thornton and 9 Platoon moved to CP MALVERN (East) a small, very austere checkpoint overlooking the Helmand River. Here they were tasked with providing security for a Royal Engineer team constructing a Medium Girder Bridge (MGB) over the Helmand River. This was to be the biggest Royal Engineer bridge building project since the Korean War in the 1950s and more importantly the finished bridge should greatly increase the freedom of movement for the local Afghan population. It will allow them to move their produce to the local markets and also have greater access to the goods and services offered by the Government of Afghanistan in Gereshk. Ian and his men quickly settled into routine in the small patrol base, patrolling the local area with partners from the Afghan National Army during the day and trying valiantly to keep warm during the sub-zero temperature nights! The remainder of the company did not linger for long in MOB PRICE either; as 9 Platoon headed off on their task, Lt Grant Reynolds and his men remained in support of a Gurkha Company in PB KHAR NIKA, across the river from 9 Platoon. Moved to reinforce the area they quickly assimilated, enjoying Mutton curry for almost every meal and the quasi-colonial approach to Military life that is part and parcel of working with the Gurkhas – Grant particularly enjoying being called ‘Sahib’ by the Nepalese soldiers. Throughout the last month they have conducted numerous fighting patrols with the Gurkhas, including pushing the FLET or ‘Forward Line of Enemy Troops’ back several hundred metres by establishing a new Combat outpost that they quickly christened ‘The Alamo’. Whilst 8 Platoon and 9 Platoon enjoyed relative independence from the Company HQ poor old 7 Platoon remained in close proximity under the careful gaze of the Company Sergeant Major as we prepared for a large scale ISAF and ANA undertaking, Operation Rozi Roshan, designed to enhance the physical security of the Deh Adam Khan (North) area of Gereshk. The operation launched in the early hours of 3rd January seeing the Company Group deploy out of MOB Price in a very large convoy of over 40 vehicles including Mastiffs, Jackal patrol vehicles and a troop of Danish Leopard 2 tanks. Following a cold and dusty night spent in a desert leaguer we moved forward to establish blocking positions on the dominant ridgeline overlooking the Green Zone, preventing the insurgent forces from fleeing to the North and ensuring friendly forces clearing through the area had immediate fire support and psychological reassurance from the presence of so many armoured vehicles on the skyline. 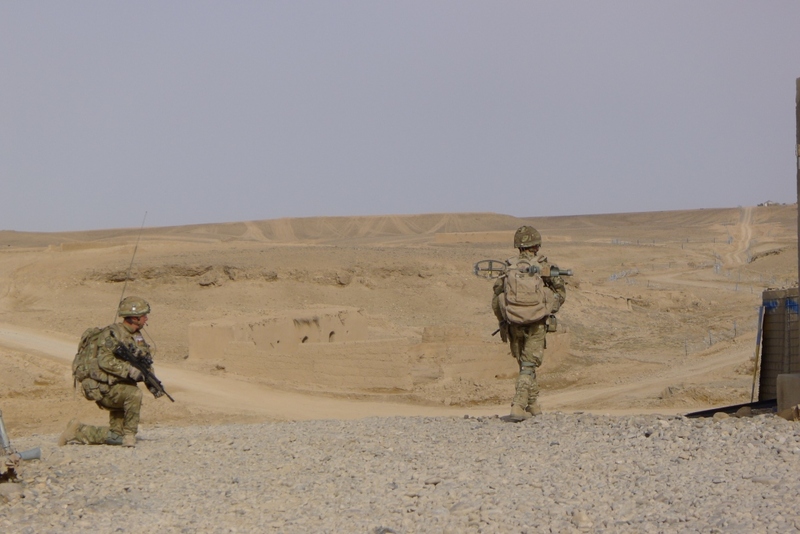 As the ANA and other ISAF forces slowly cleared through the valley below us we supported a team of ANA and Royal Engineers who constructed no fewer than seven permanent checkpoints on the high ground which now provide enduring security for the people of Deh Adam Khan (North). Some of the checkpoints were constructed in the shadow of what the locals call ‘The Red Fort’ an immense mud and earth wall forming a semi-circular ring of defences on the high ground. During our 10 day period living in the shadow of this wall we heard many stories explaining its origin; some locals believed it was a British Fort from the 19th Century, others thought it dated from the reign of Ghengis Khan and his followers whilst many of us amateur historians in the company like to believe it was from the period of Alexander the Great, some 2500 years back in history – a remnant of a past age like the ragged temples seen in the classic film ‘The Man who Would be King’! At the end of the operation we were sorry to say goodbye to our surroundings, but not sorry to move somewhere with heating – the nights camped out under the stars securing the engineers had been particularly cold and we were all in real need of a shower when we arrived at Patrol Base Clifton which was to become our home for the final months of the tour. The end of the operation signalled the start of our handover period with Danish Charlie Company who had been holding the PB Line area of operations for the previous five-and-a-half months. The Danish staff showed great patience taking the platoons on familiarisation patrols around the PB Line area, teaching us the various vulnerable points and areas where they would expect IEDs to be emplaced, and talking about the many patrols and operations they had conducted during which they had made contact with insurgent forces. At the end of a week long handover period it was with a mixture of excitement and trepidation that we took over authority for the area and waved goodbye to the Danish company as they drove out of the PB into the desert headed for the long anticipated flight that would take them home to their loved ones inDenmark. Continuing to apply pressure onto the insurgents operating in our area, we planned and conducted a number of routine patrols through the area with our two partner Afghan Tolays (equivalent of a British company of 100 men) as well as deliberate operations to directly engage the insurgents in their perceived safe areas, using Attack Helicopters to provide us with superior fire support. Every member of the company has been well aware of the threat posed by these operations, the list of Danish causalities bore testimony to the concentration of IEDs in the area and the willingness of the insurgents to engage us at short range with AK47s and other weapons. Regardless of the threat the soldiers and officers of the company deployed on these operations with confidence in themselves and the men serving left and right of them – the same confidence that has enabled our forebears to advance into combat on countless battlefields. 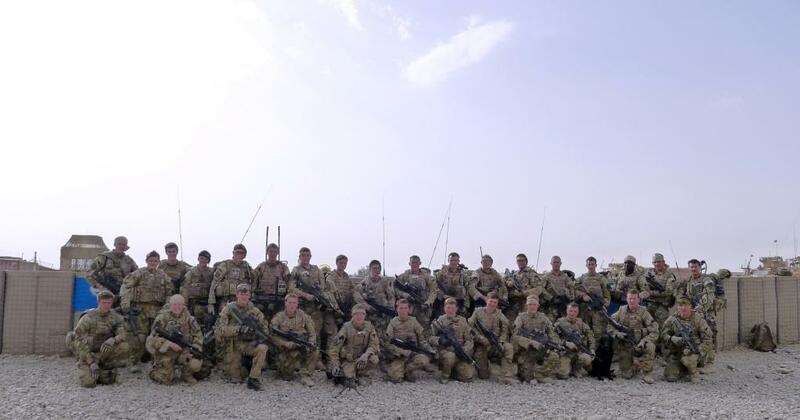 The sense of pride I felt every time the company deployed on the ground cannot be underestimated; you cannot fail but be proud and humbled by the strength of character displayed by eighteen year old soldiers as they face up to real dangers in Afghanistan. During one of these patrols, on 31 Jan, the company were manoeuvring towards a village believed to contain a number of insurgent fighters. 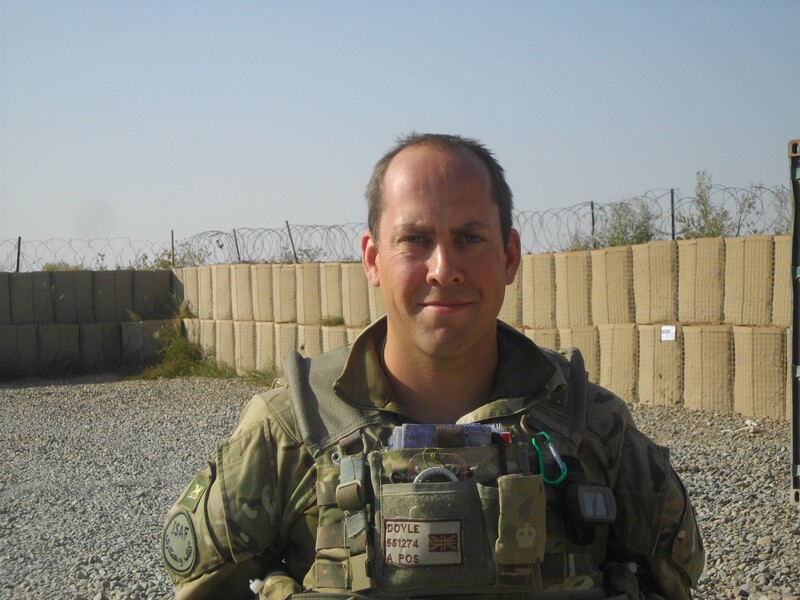 As one of our Section Commanders moved his forces into position to provide fire support to his platoon commander he unfortunately set off an IED which inflicted serious injuries to his legs. 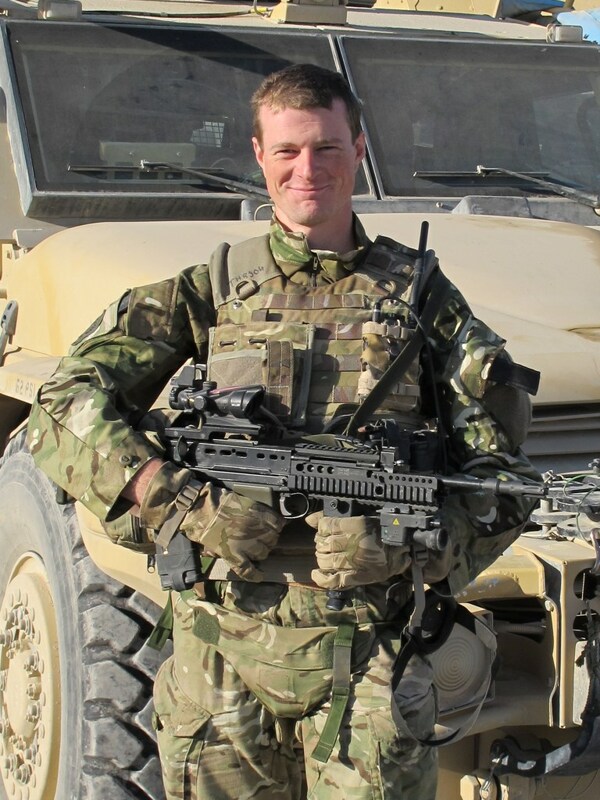 As the echo of the explosion rang through the air Pte Jones, a TA soldier of 3 PWRR serving with the company, and LCpl Samways rushed to provide first aid support. Following one cry of pain, the soldier was sitting up at the point of the explosion giving encouragement to the men coming to help him. Just as the company had rehearsed for the last 12 months Pte Jones applied tourniquets to his wounds whilst LCpl Samways coordinated a quick and efficient evacuation of the casualty to the Company Sergeant Major’s position from where he was swiftly picked up by a medical evacuation helicopter crewed by US Special Forces Personnel. 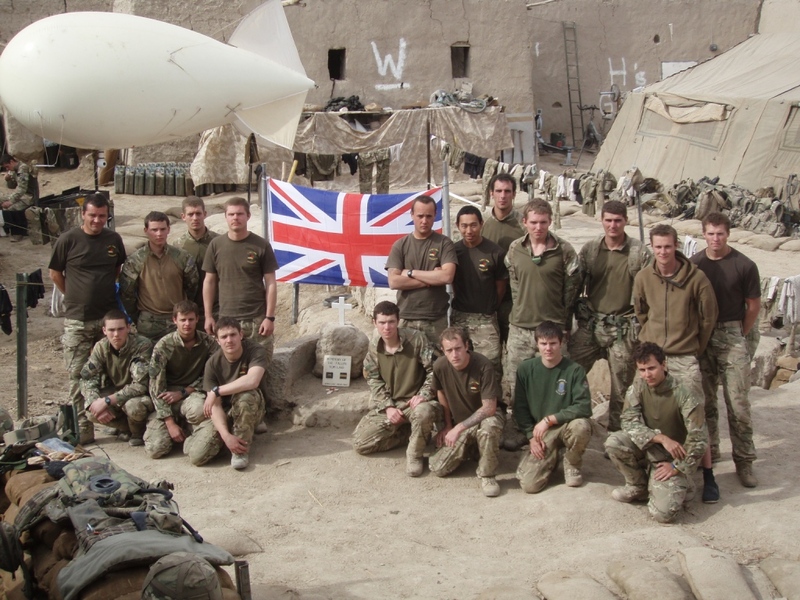 The medical treatment given by the soldiers on the ground undoubtedly saved his life and is testament to the huge advances in training and equipment that have occurred during the course of the British Army’s involvement in the Afghan campaign. He is now recuperating in the UK having received first-class medical care in the Royal Defence Centre for Medicine in Birmingham. It is testament to his strong character, determination and the support of his family that he was released from hospital and commenced his rehab treatment in Headley Court just over a month after receiving his injuries. As the company push into the last month of the operational tour all of our thoughts and best wishes remain with him and his family and we all look forward to enjoying a cool beer with him on our return to Germany. Group shot of the company. Private Graham ‘T’ Thurston is a soldier in 5 Platoon, B Company, the 1st Battalion the Princess of Wales’s Royal Regiment (1 PWRR) known as the ‘Tigers’. 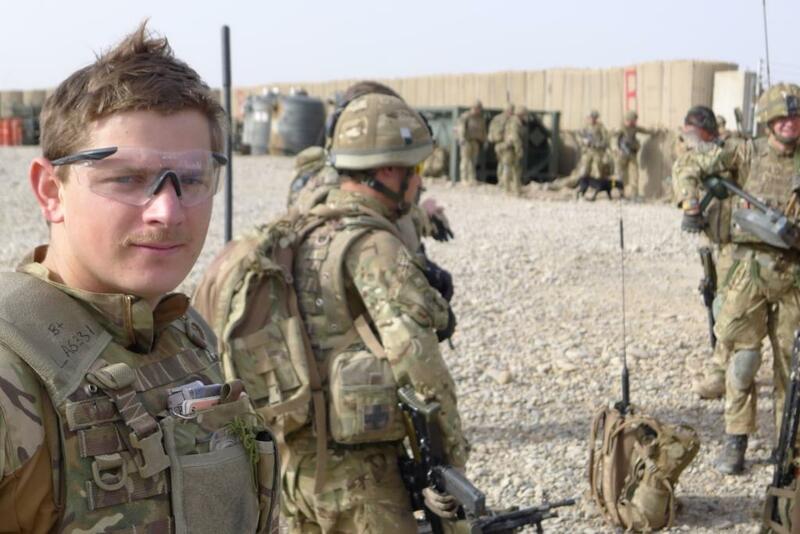 Private Thurston is based in the Nahr-e-Seraj District of Helmand Province as part of the 5 RIFLES Battle Group. As the new Checkpoint Prrang (Tiger) takes shape in Kunjak, I have stayed behind in Checkpoint Jeker to drive the Husky vehicles which resupply three of our checkpoints. When conducting a route recce for the new checkpoint, we drove down a road which had not been designed for vehicles. As we crossed a fast-flowing stream, my vehicle got stuck. The culvert we were crossing looked like it was strong enough. However, either side was thick clay which had been soaked by recent rain, and when we went over we got stuck. Every time we tried to move, the rear of the vehicle sank further into the wet clay. This filled the tread on the tyres, meaning we had less and less grip. The two other Huskys tried to help us, but things didn’t go to plan: one of the vehicles attempting to pull us out came off the road and into a ditch. With my vehicle stuck in wet clay and the front vehicle in a ditch, all hopes of self-recovery had ended in disappointment. We needed help. First we were sent a Medium Wheeled Tractor (MWT) which had the power and grip to at least get my vehicle unstuck; however, the MWT got bogged in as well. The day was going from bad to worse. Eventually, two Support Vehicles (Recovery) were called – basically a combination between a tank and a tractor. After a full day of pushing, pulling, lifting and dragging, the stricken vehicles were freed. When all the vehicles were out, we slowly moved back to Checkpoint Jeker, with one very battered-looking Husky. Hopefully there won’t be too many more days like that before the end of tour. As my R&R (rest & recuperation) approached we patrolled into an insurgent hotspot, a small village on the edge of our Area of Operations (AO). At the start of the tour, we had experienced a number of ‘shoot and scoot’ attacks. For now the village is quiet. The insurgents are still around, although at the minute they use propaganda leaflets to scare the population. Because of this we have been able to increase patrolling into the area and improve our relationships with the locals. As I flew out of Checkpoint Jeker on my R&R I left my colleagues behind to carry on the fight against the insurgents. I spent a few days in Camp Bastion before flying home and while I was there I helped to load up a lorry which would carry supplies to Checkpoint Jeker in a convoy called an IRG. Even though the flight back to the UK was long, everyone who was on it was looking forward to getting home. When we landed at RAF Brize Norton it was really nice to see my parents for the first time in four months. Whilst I was home it was good see my friends and family and, even though it was only for two weeks, it was good to relax. On the flight back to theatre people looked a little down, but everyone was looking forward to getting back to see our friends in Jeker. When we got back there was no time to relax as it was straight on to a vehicle move, shortly followed by sangar duty, but after a few days we were back into the swing of things and it soon felt like we had never been away. We have begun to patrol into a village which was previously an insurgent hotspot. The village is a long way from CP Jeker, but our relationships with the local nationals is improving. The problem is that the insurgents are able to come in when we have gone so it has been decided to construct a new checkpoint there. CP Parang, which means ‘tiger’, will be occupied by my multiple and some Afghan Local Police (ALP). The new check point will be a good place for us to strengthen our relationships with the locals and help us to push the Taliban back. We helped to open the Khorgajat School a few weeks ago and the attendance has boomed to over 140 children and four teachers – it is good to see it grow. As it’s winter and most of the farming is done, the children are happy to attend and their parents happy to let them go. This is good in two ways; firstly is that the children are getting an education their parents never had and secondly, as the children are in classes it allows us to do our job without hindrance from the kids. 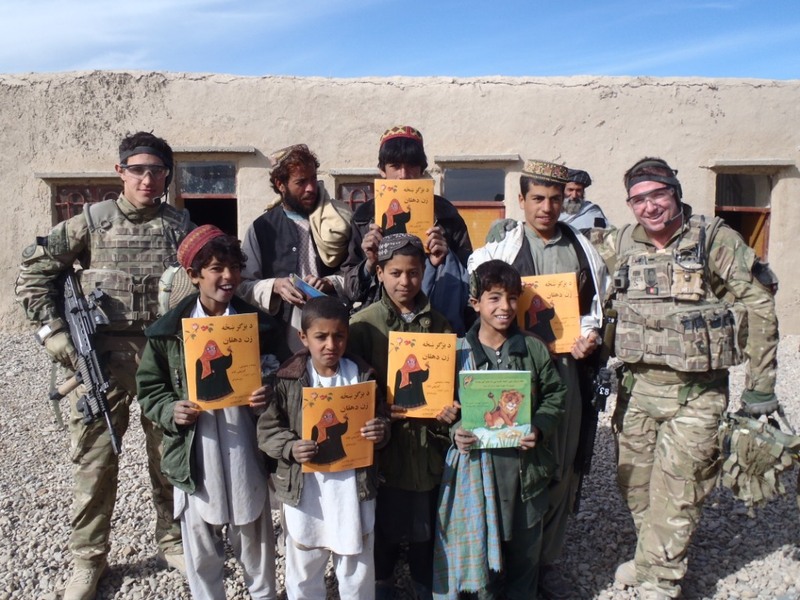 Pte Chiverton and Sgt Shinner (RAF Regiment) with the children of the Khorgajat School. 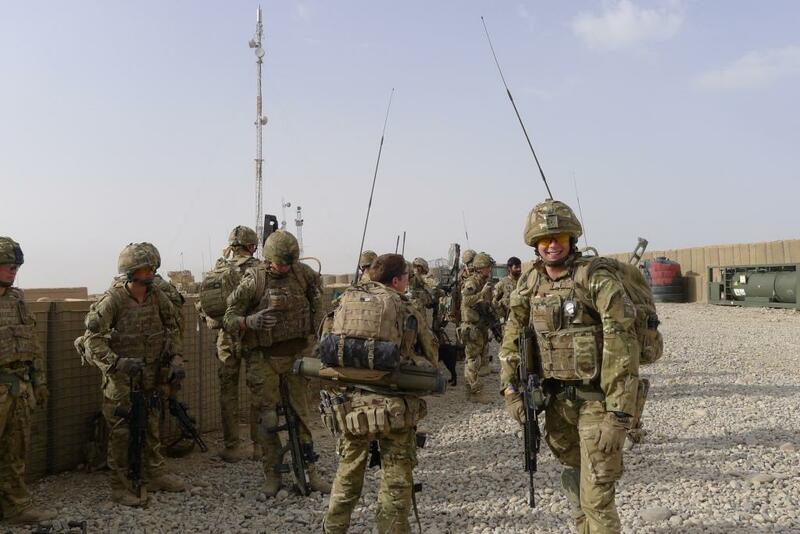 Having been given the go-ahead from the UK Government to set up an Afghan Local Police force in our area, a new checkpoint ‘Sola’ (peace in Pashtu) has been established plugging the space between two of our existing bases. Setting up the checkpoint was our main effort and with everyone concentrating on it, it is growing quickly. As with everything in our area of operations, there are some locals who were not happy. But once we explained that the Afghan Local Police were going to be located there with us, they were happy to let us continue. The Royal Engineers built walls and sangars and a local contractor installed two wells. All in all, a lot of hard work, but it is now largely complete with only small bits and pieces to be done. The build of Sola went really smoothly so we were not surprised when one of the Royal Engineers’ vehicles broke down, and not a small one – it was 26 tonnes of Self-Loading Dumper Truck. A recovery vehicle from the Royal Electrical and Mechanical Engineers (REME) was able to get the truck out of the checkpoint but unfortunately, it got stuck on a bend in a narrow track. With the lorry almost toppling over and the recovery vehicle also stuck, we had no choice but to set up a cordon overnight to protect the vehicle. Twenty-seven hours and a further two recovery vehicles later we finally got the stricken truck back to Sola where it had started. Two days later, we tried again and with the REME making some running repairs, it finally left under its own steam and made it back to its base location where it could be fully fixed. Getting the Afghan Local Police in was a huge amount of effort but is definitely worth it. They will hopefully be long-term protectors of the people once ISAF has left Afghanistan working with the Afghan Army and regular police. 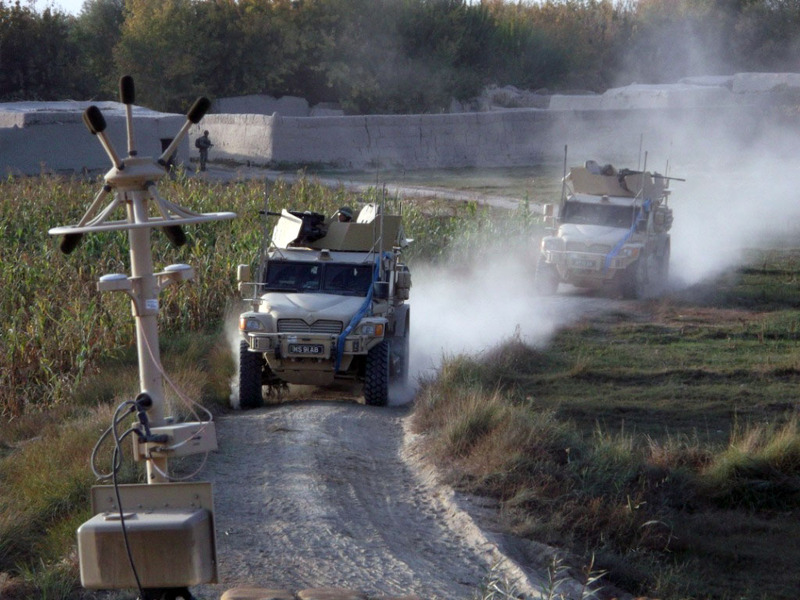 Our area of operations is bordered to the South by the River Helmand and the area there is not currently patrolled regularly by ISAF or Afghan security forces. 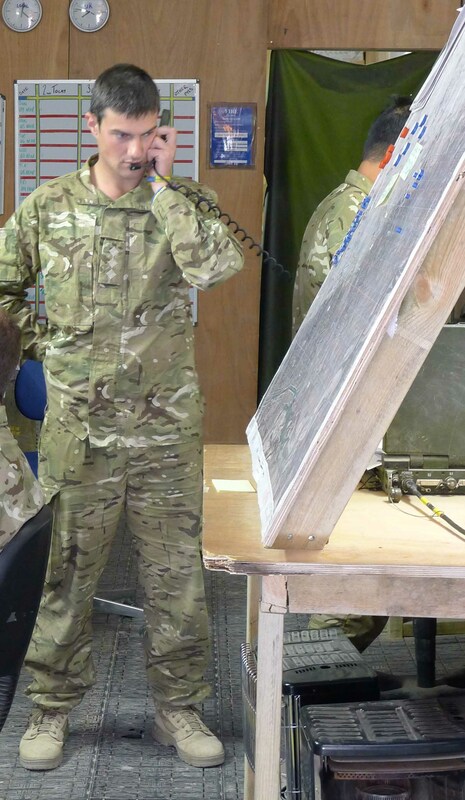 In early December last year we mounted a dawn raid by helicopter in partnership with the Afghan Army and two insurgents were detained with radios, ammunition, explosives and detonators. 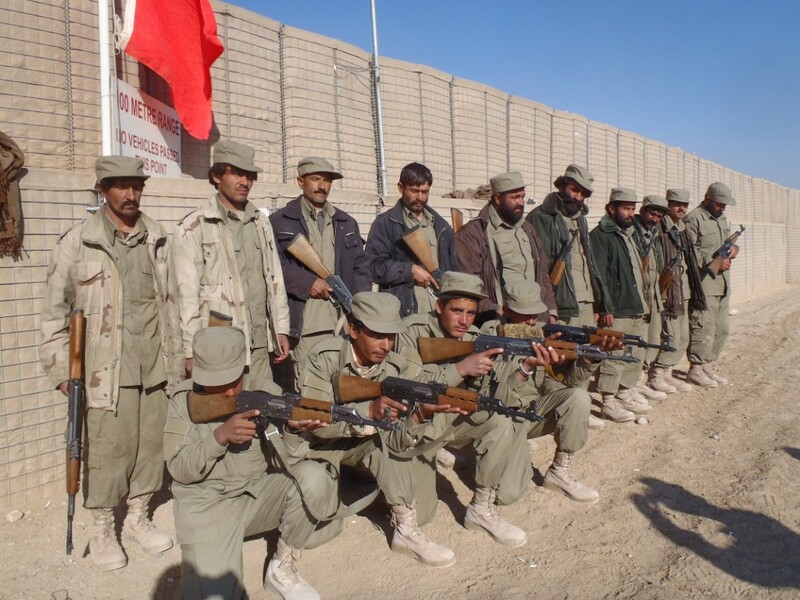 Our Afghan Army partners have been replaced by a different Kandak (Battalion) and we conducted a similar operation with them in an area further to the northeast of the river. We lifted in the dark from our base at checkpoint Jeker with the Afghan Army in two Chinook helicopters and looking out the ramp at the back we could see the compounds spread out over a large area in the growing morning light. We landed in a cloud of dust and moved quickly to cordon positions around the suspect compounds and the ANA began their searches whilst we biometrically enrolled the residents. 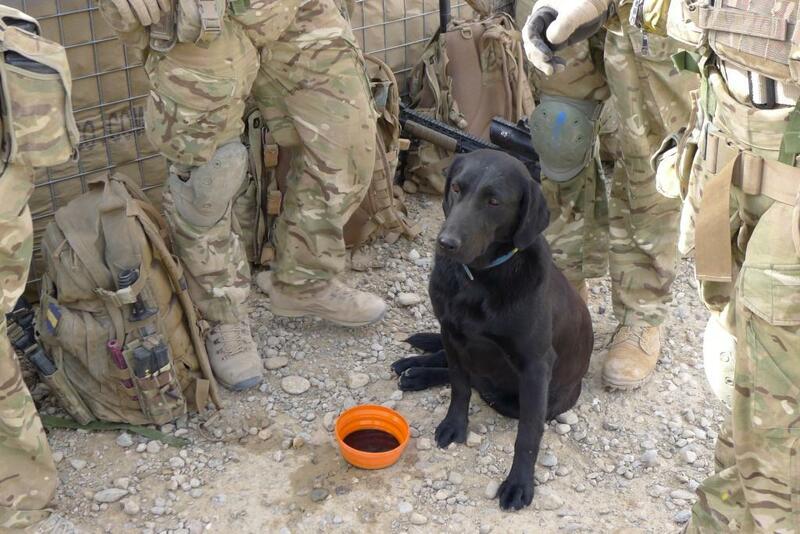 On this occasion, nothing was found and the locals seemed genuinely pleased to see us and pass the time of day and share chai with Maj Noott, the company commander. We moved along the river repeating the process, but all that turned up was an ancient soviet rifle that had seen better days and hadn’t been fired in years. Finally, we moved off south into the dasht (desert) and were collected by the helicopters. Overall, the operation was a success. It proved we could operate with our new Afghan Army partners, enjoyed good interaction with the locals and learned about the area. Better still, we made it back to our base as CP Jeker in time for a hot lunch that we needed as it about the coldest day we have had yet. The weather here has been really cold but dry since December last year but that all ended with gale force winds and torrential rain on the 21 January. We had previously winterised the camp but that did not stop this level of wetness. Some of the tents flooded and the dust turned to mud. If it was not tied down, it blew away and as the rain fell, the gaps in the waterproofing became apparent. With the amount of water falling the local school flooded and the local river burst its banks. Our AO is mostly covered in water and the roads are treacherous. As this is the first rain of the year, we hope it is as bad as it gets. We now have to repair and improve the winterisation of the camp and hope its good enough before the next storm hits. As Christmas comes and goes, we still have a job to do and we patrol as usual. As R’n’R gets into full flow manpower lessens, so a simple job or patrol becomes harder, as there are less people to spread the weight around but as we get used to it, it becomes easier. New year was quiet as the weather had closed in and patrols were minimised. It was a night of rest and a quiz night for a bit of fun. It was good for everyone and the only downside was a few bursts of firing from the local ANA checkpoint but nothing came of it. As the new year comes and goes, an inter multiple cook-off was announced by Company Sergeant Major (CSM) Gidalla. All 3 multiples are to cook on a Tuesday night with the CSM and the chefs judging, with the standard set by the multiple from 2 Rifles. It’s a night we look forward to. With a new checkpoint being prepared and 2 Rifles training the ALP, the location for the checkpoint was granted by the locals but when we arrived to take over the compound, a family related to the ALP commander had moved in with the aim of making a home of it. As they were evicted from their last location they were determined not to move. A new location had to be found within the limits of the village which was found with help from the Afghan National Army. Construction is due to start soon. This will help secure the local facility and help the locals to police the village and the hope of securing an area known to be rife with insurgent activity. A military band made a surprise visit. It was a treat to hear some songs, some old, some new and it helped raise morale as the next few weeks are going to test everyone physically and mentally. JEKER is a relatively new check-point and packed with the latest technology to help the patrols get on the ground with as much intelligence and knowledge as possible. We also have BFBS [British Forces Broadcasting Service] TV and two internet computers and this gives us a good change to relax in the welfare tent that doubles up as a cookhouse. The other two B Company check-points aren’t as lucky but they get up about once a week and check their mail and chill out. With solar showers and toilets with a door (poo in a bag variety) this check-point is classed as a luxury here in the Green Zone. We are surrounded here by farms with deep irrigation ditches. These range from ones you can step over to ones that come up over chest height and you have to wade through. The banks are often very steep and it’s impossible to get out without being dragged out by your mates on your stomach because it’s so slippery and muddy. The locals are very happy that we are in the area and help us out by walking over the bridges to prove they are have not got IEDs or putting down logs for us to make a crossing. 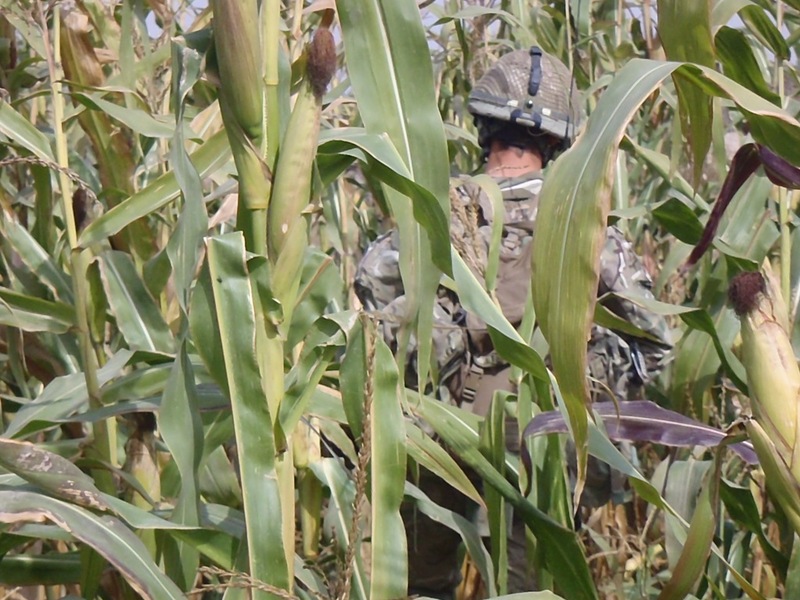 This may be just to stop us walking in their crops but it strengthens our relationship with the locals and helps us with our patrols and shows who we can trust in the population. As a mixed platoon (half from 2 RIFLES and half from 1 PWRR) the way we do things is the same as if we were all from the same unit. We split patrolling and guards and duties so that when you come in off patrol you can do admin and make sure your kit is 100% in working order. This is important for your body as well or it will start to go down and fatigue will set in and that leads to a harder time for all. It has been quite quiet here and the locals are still busy with the harvest. But we must never let complacency set in. That said, on a recent foot patrol to a local village and after a shura (meeting with village elders) we headed north, and in a village in the south 5 Platoon were moving away when they were fired upon. The contact was short but there was a lot of fire power used. We moved to support but 5 Platoon withdrew back to their check-point. Back in CP Jeker we checked ourselves over and no one was hurt in the fire-fight but the insurgents had slipped away. With the winter closing in fast, it appears that the main fighting season is coming to an end. Patrolling is becoming easier however selecting totally new routes to patrol is becoming more difficult as time goes on. 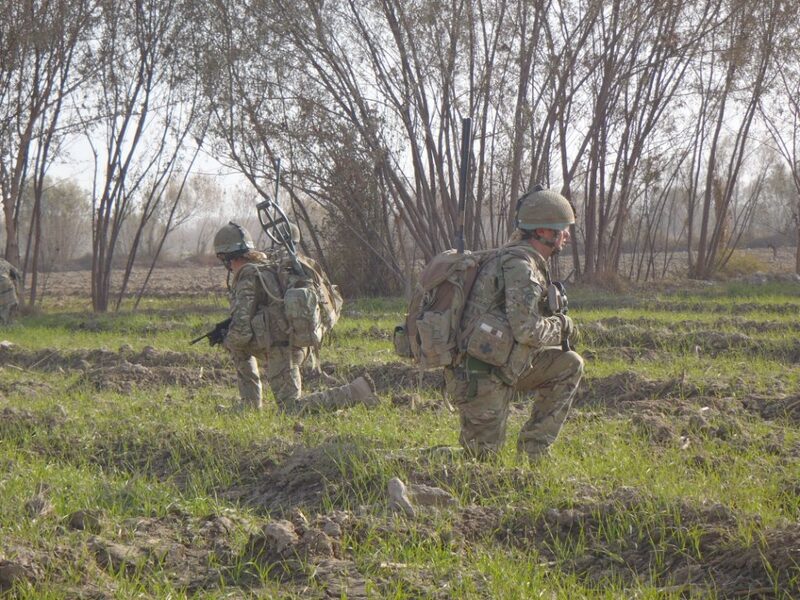 A recent operation into a small village south of the River Helmand saw us patrolling into an area not previously visited by ISAF. We had heard that the village was being used by insurgents as a bed-down location and as an area to store weapons and IEDs. We were dropped into the village by helicopter which allowed us to move in quickly. We entered the village with three ISAF multiples and three ANA multiples along with the OC’s group, with me being in Sgt Janes’ multiple. There were a lot of soldiers on the ground which allowed us to quickly secure the outer compounds. With the ANA searching, we moved through the main group of compounds very quickly. Once the ANA had completed their task, Sgt Janes moved us to a bridge crossing; however as soon as we moved we thought we saw an insurgent scout running away. The ANA went in pursuit and soon caught the runner who was found to have IED components in his possession. After talking to a local Elder about the detainee, it was decided to send the man to Camp Bastion for further questioning. With all the moving parts working well, a lot of intelligence gained and one less insurgent to worry about, this operation was seen as a success. As the tour has gone on, Cpl Watson, an attachment from 5 Rifles, has become very good at using the HiiDE (Biometric Enrolment) camera. As such we are using this kit to good effect on most patrols. In general the locals are happy to give up a few minutes of their time to be enrolled on to the system in order to help keep their community safe.